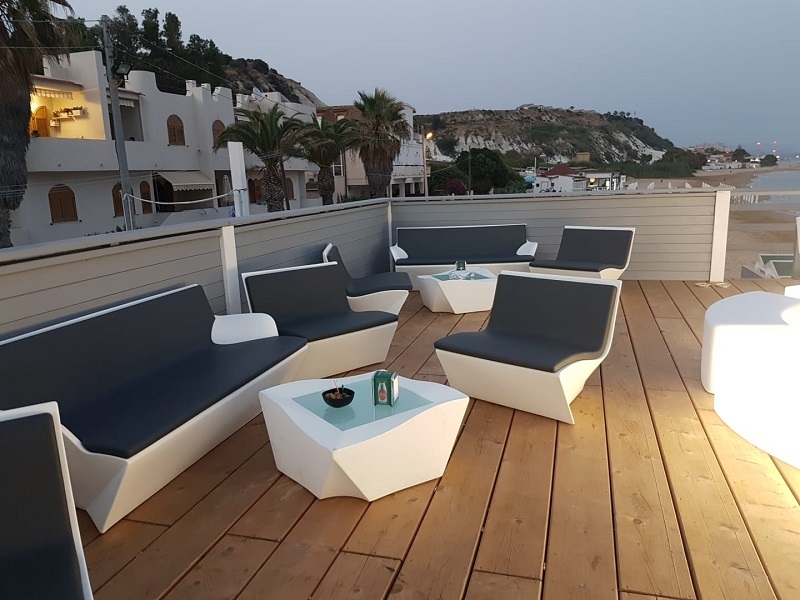 In one of the most popular place of Sicily, Maragià beach chooses our furniture for the whole area. Scala dei Turchi is one of the most popular place in Sicily. 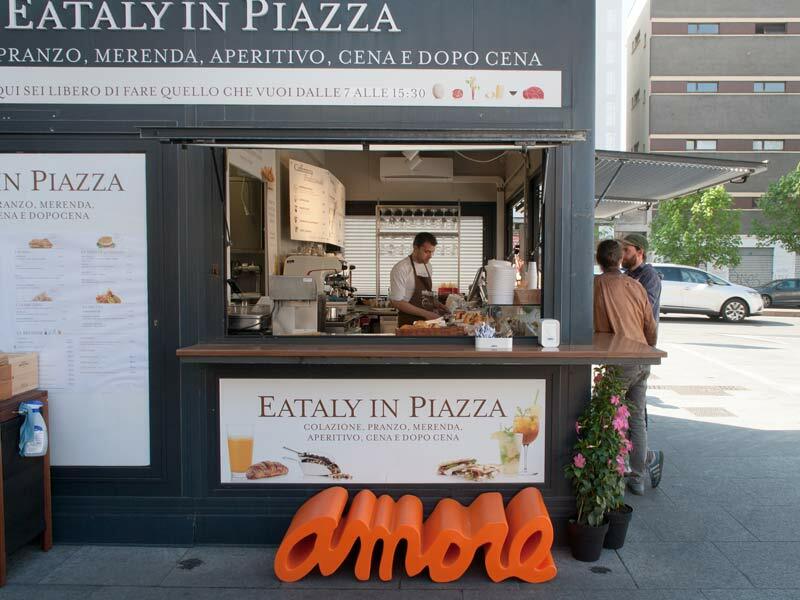 Maragià is a small amazing beach in Realmonte. 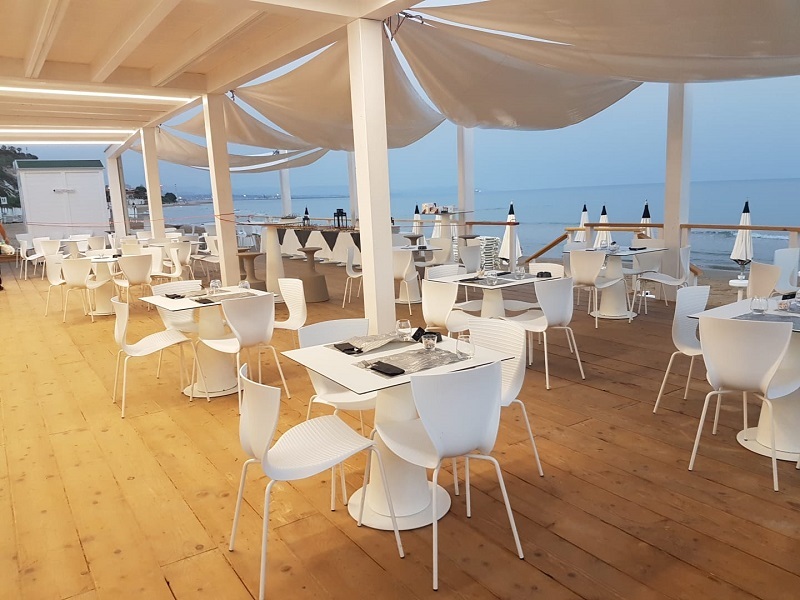 Thanks to Arredo Beach project, Maragià Beach chooses our furniture in its total white version. 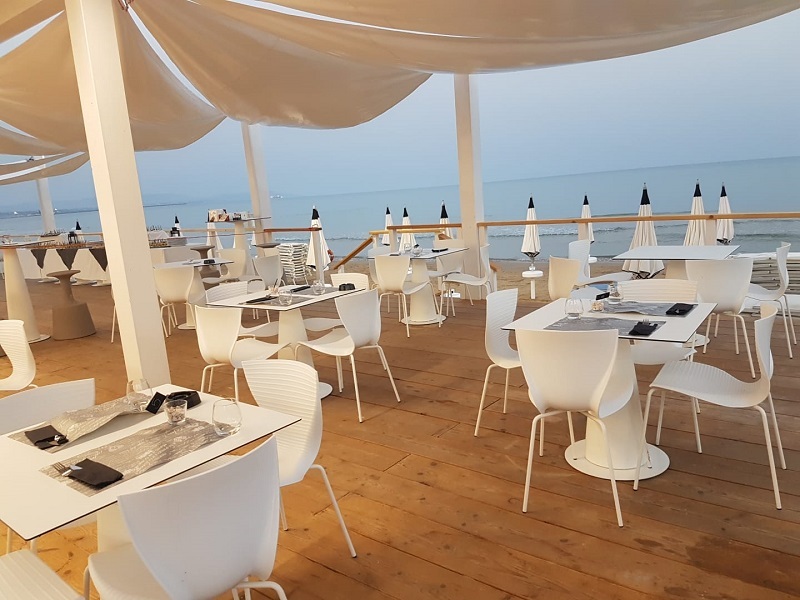 The restaurant, at the beach, is refined and comfortable, thanks to Hoplà table with square top and Gloria chairs. 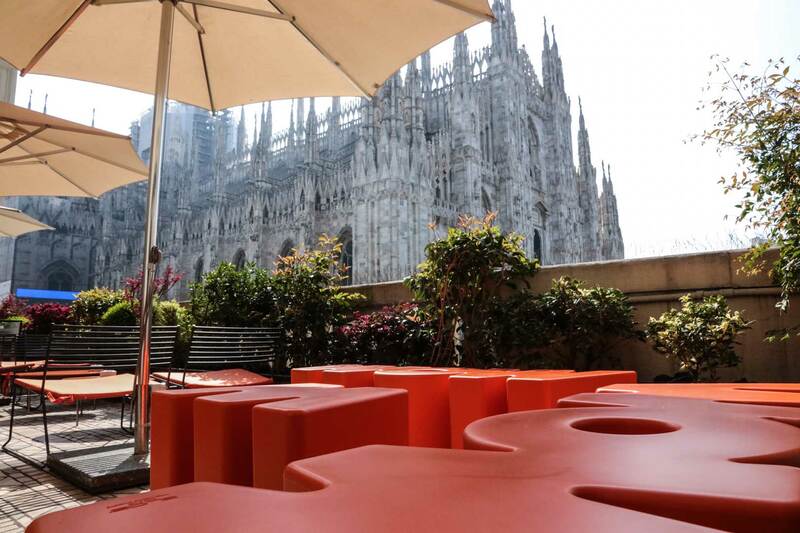 For the lounge area, on the other hand, there are many our best sellers: luminous seat Snake and their version in soft polyurethane Soft Snake, Giò Pouf and Ypsilon. 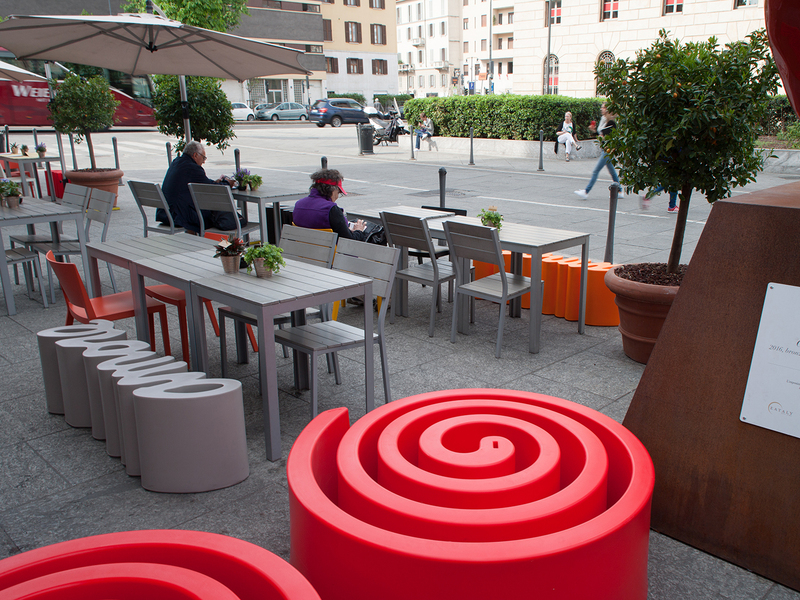 A corner is totally furniched with Kami collection by marc Sadler. 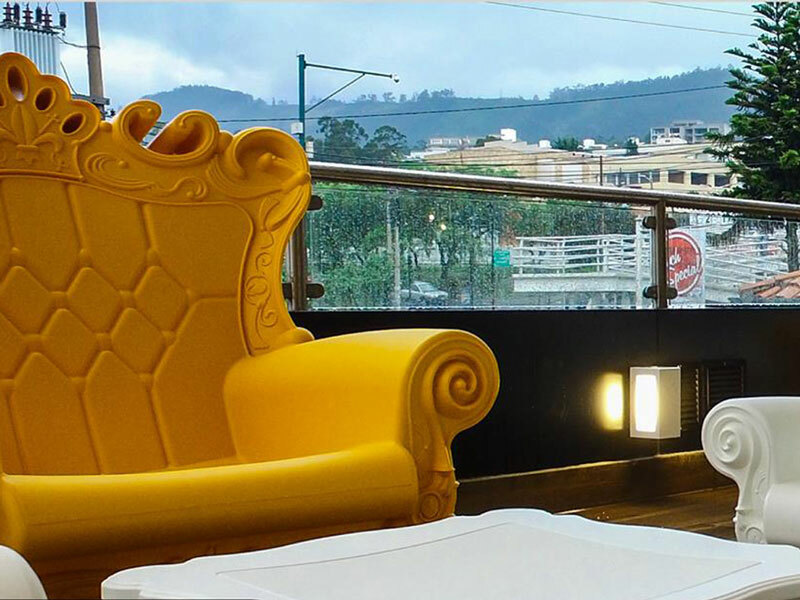 El Español Gourmet chooses Design of Love collection to furnish indoor and outdoor of a new restaurant in Quito. 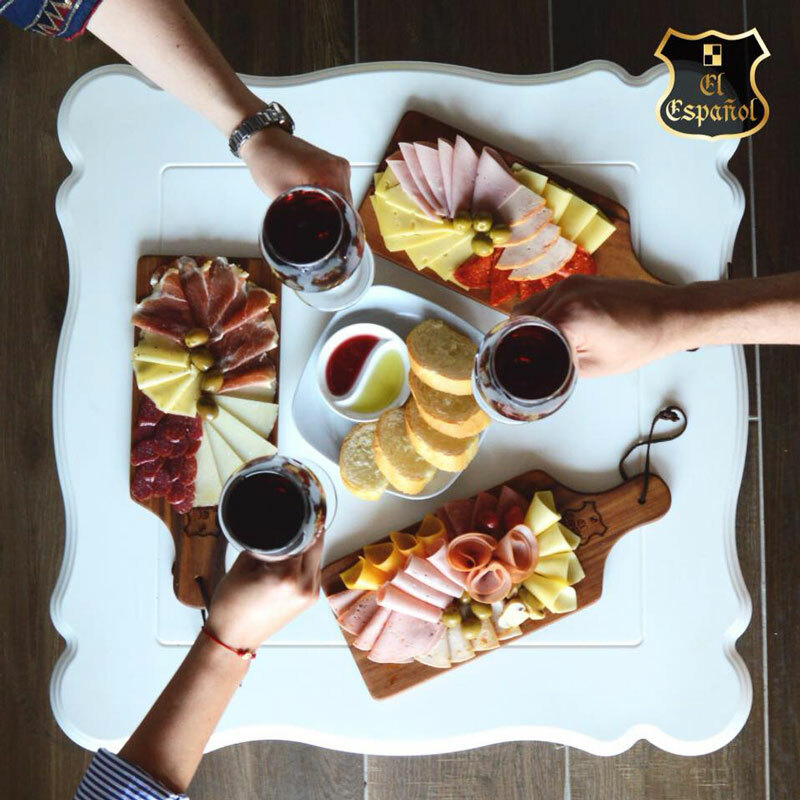 El Español Gourmet turns 30 and it celebrates its anniversary with a new look of one of its locals in Quito. 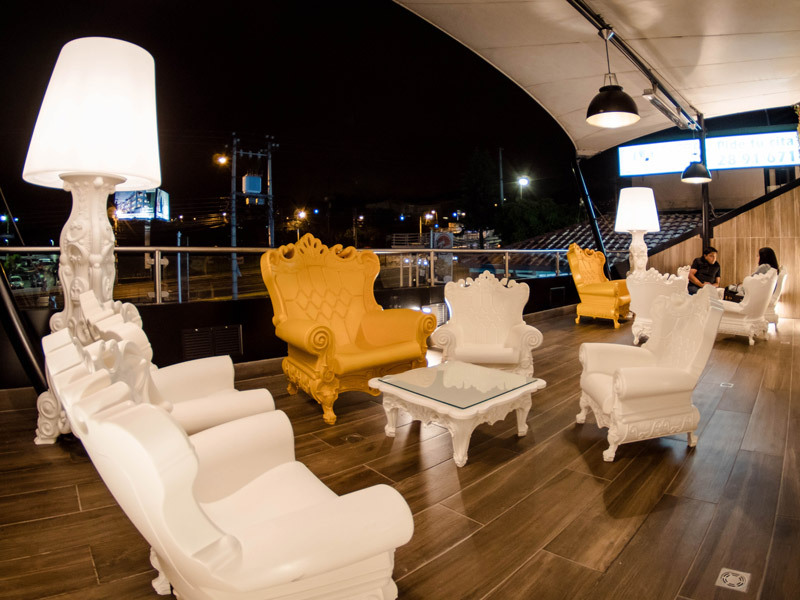 With a refined and contemporary style, the new local in Plaza Cumbaya is decorated by some products of our iconic Design of Love collection. 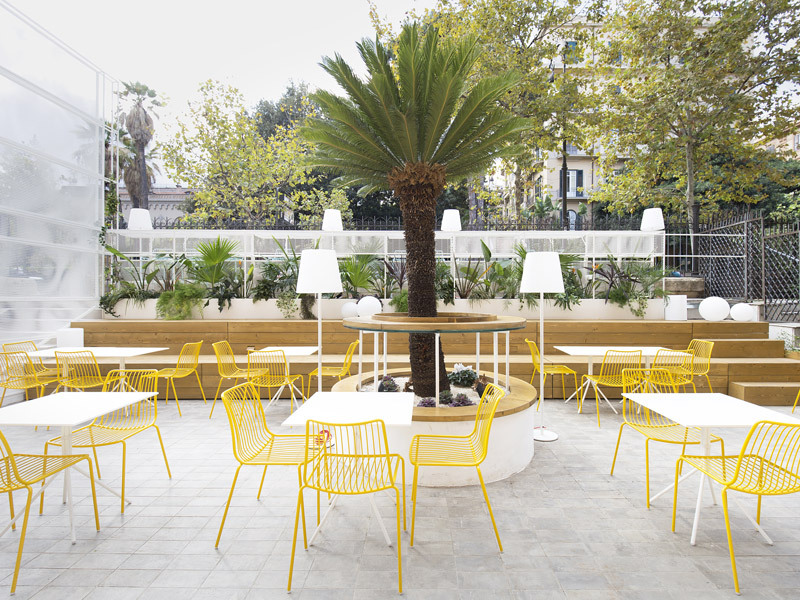 The indoor is colourful thanks to our yellow Princess of Love chairs. 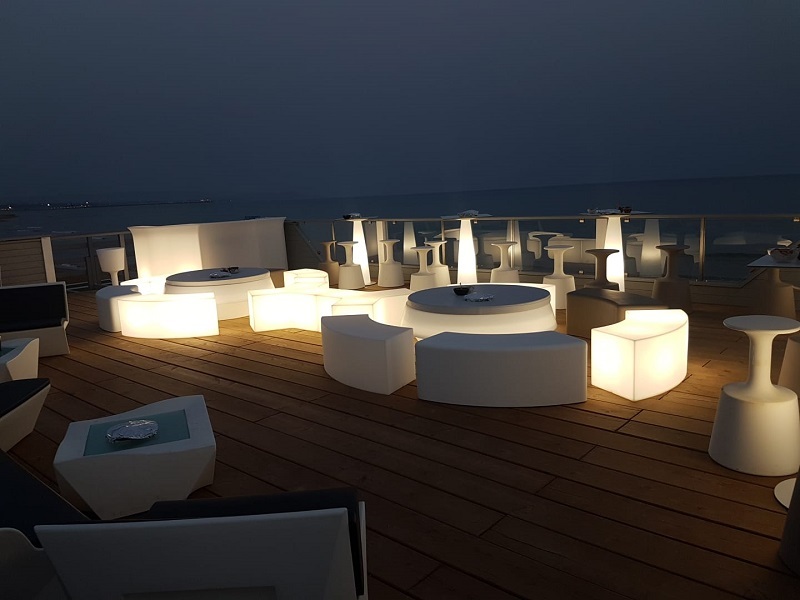 The outoor terrace is reach in our ironic and luxurious products: Queen of Love armchair, Duke of Love coffee table, Little Queen of Love kids armchair and Madame of Love floor lamp. 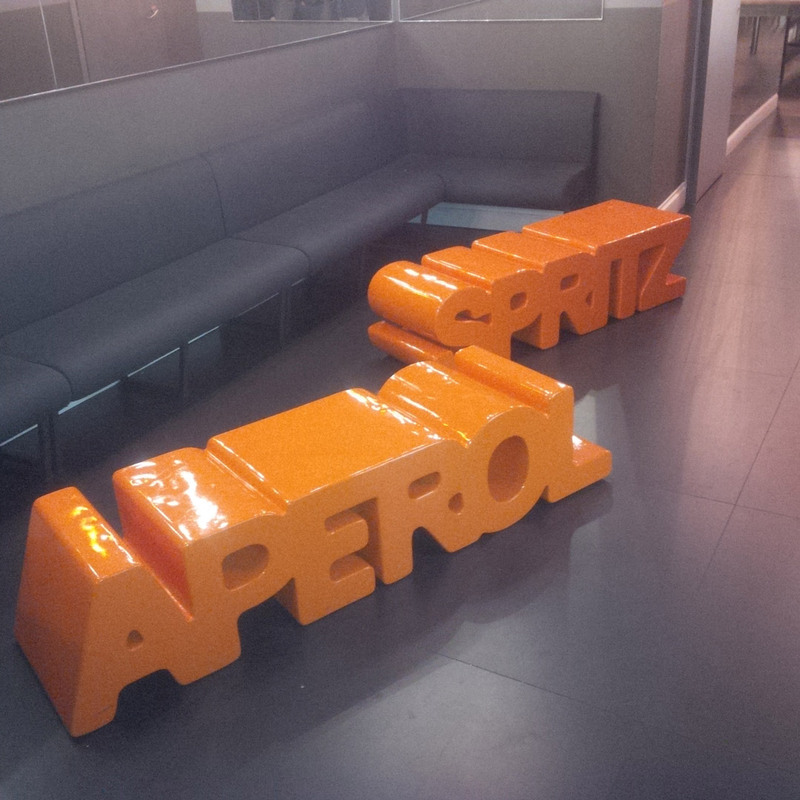 Terrazza Aperol dresses up in orange, thanks to Slide novelties. 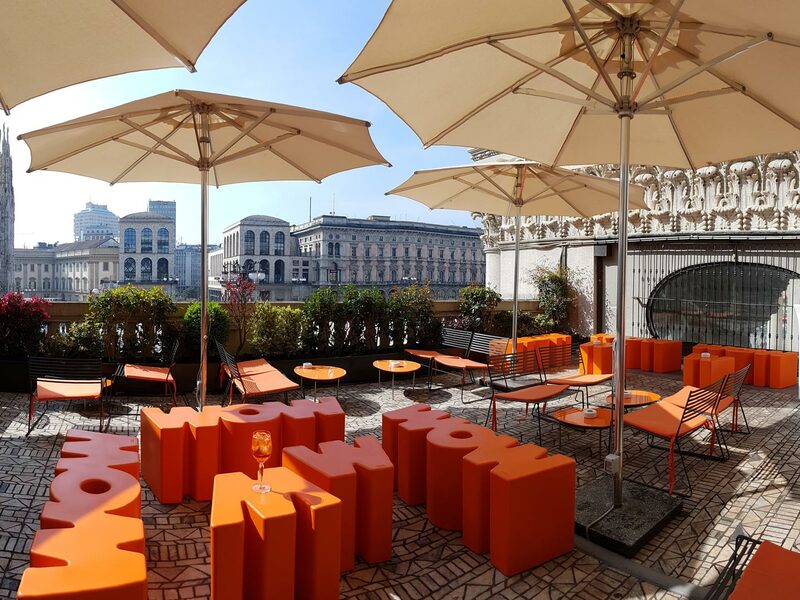 Slide and Terrazza Aperol work together to realize an informal, international and pop settings in the amazing terrace between the spiers of Duomo and the square below. 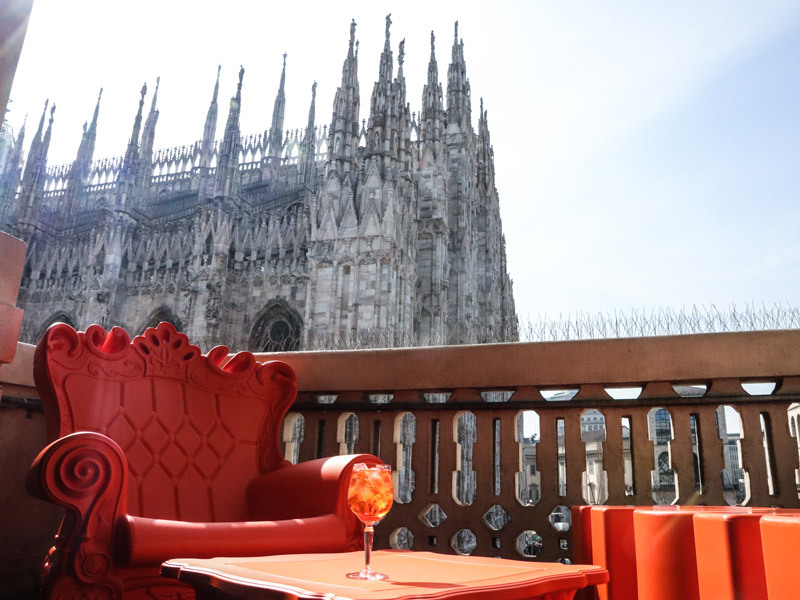 Some of our novelties, shown at the stand of Salone del Mobile 2018, are in perfect match with some iconic products of Design of Love collection. 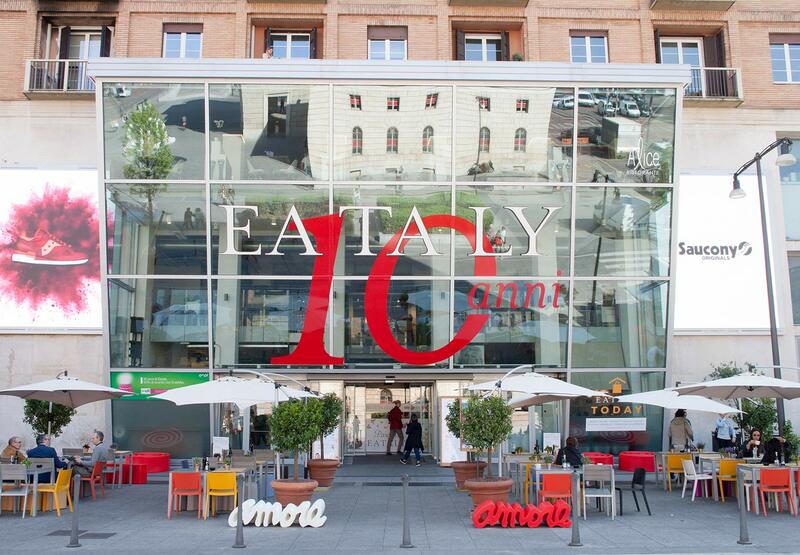 The contract project is realized with WOW, Double U e Cucun, as well as our luxurious and ironic Queen of Love. 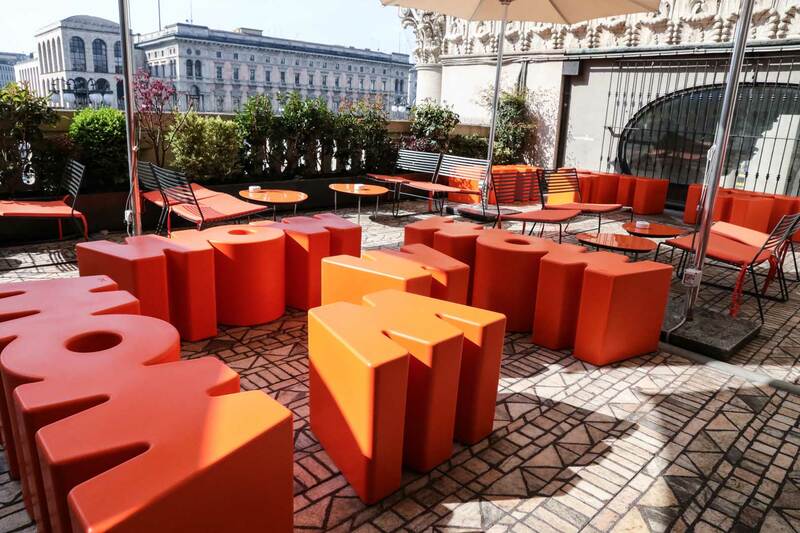 The seats, the stools and the tables are made in orange colour: it joins Slide and Aperol brands, as well as they are both Made in Italy products. 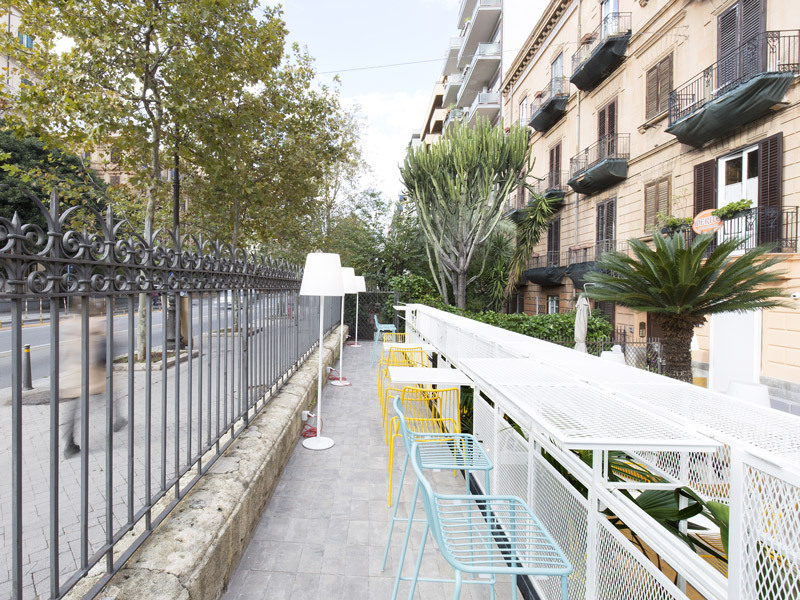 Cento61 is a restaurant created by Studio Di Dea in Palermo.The white iron-being declined as a grid and as framework structure- is the leitmotiv connecting the different spaces. 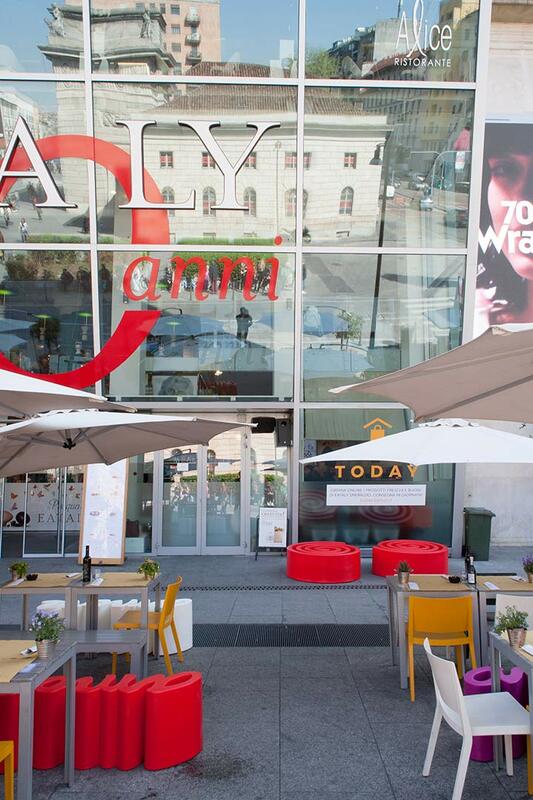 For this reason our Ali Baba Steel with the special stem is ideal for this project. 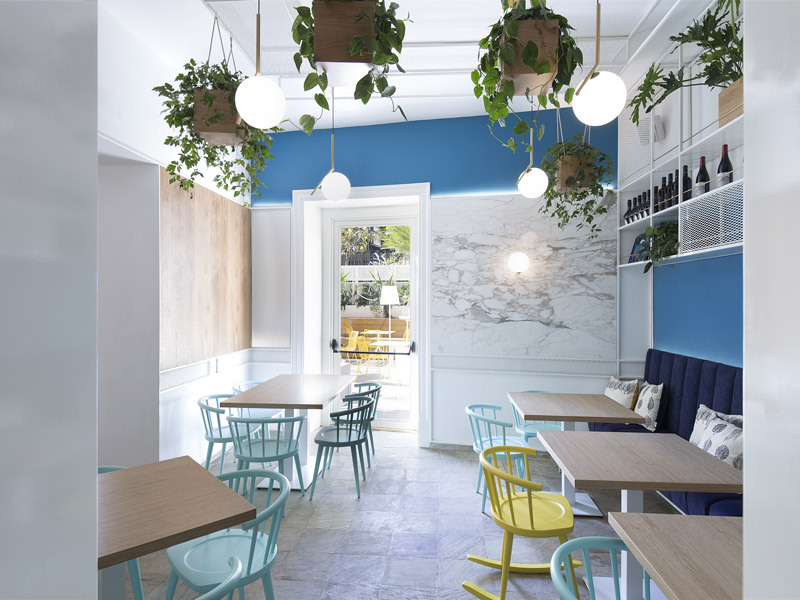 The design comes out from the refurbishment of and old restaurant with no character located in an early twentieth century building following the client request to “create a special place with an informal atmosphere that could become a meeting place for Palermo’s people to eat, drink, share and coming back”. 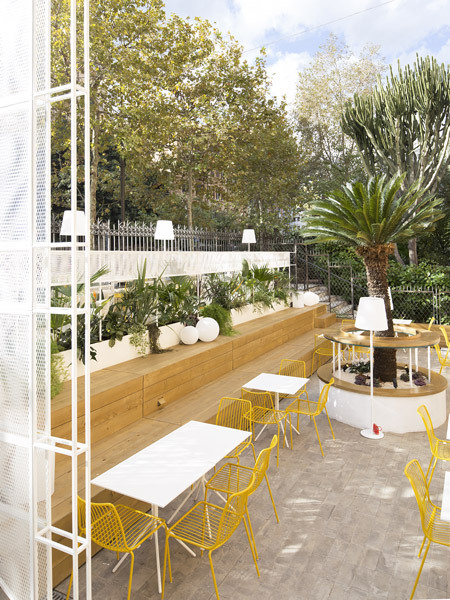 La folta vegetazione del giardino rende il ristorante un piccolo angolo di paradiso, reso arioso e luminoso dai colori tenui e dal tema costante dell'alluminio bianco verniciato: elemento che richiama lo stelo delle Ali Baba Steel, scelte dallo Studio Di Dea per illuminare il giardino esterno con eleganza ed essenzialità. 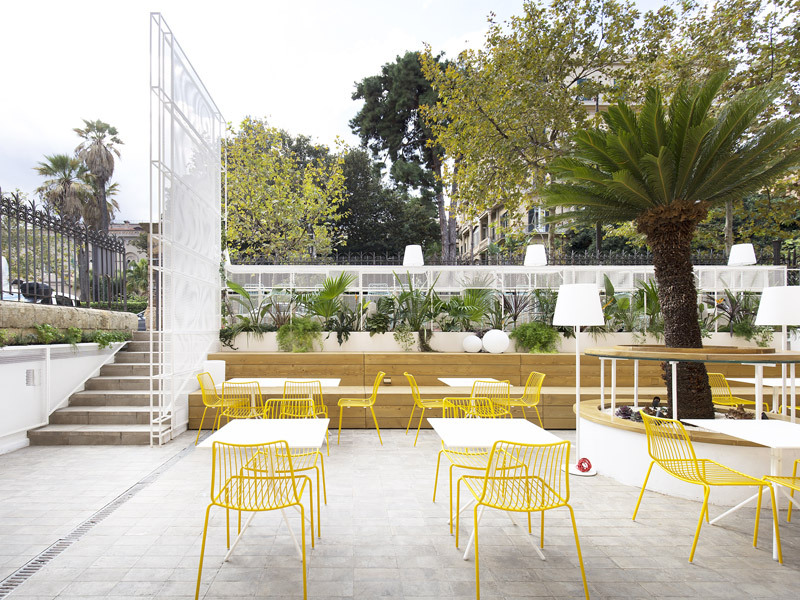 The design of the garden is developped around the 200 years old Cycas with few simple elements on different levels. 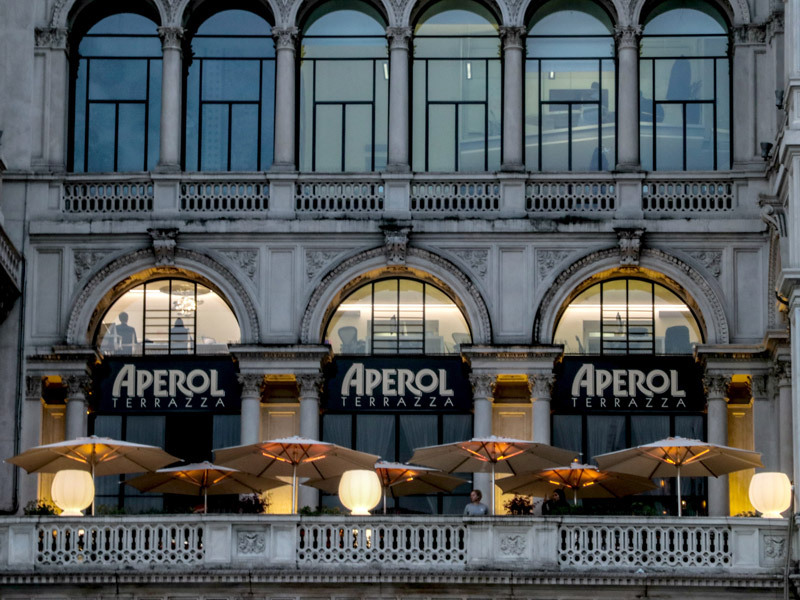 The leit motiv of the whole contract project is the lacquered white steel: this element is reminded of Ali Baba Steel stem. 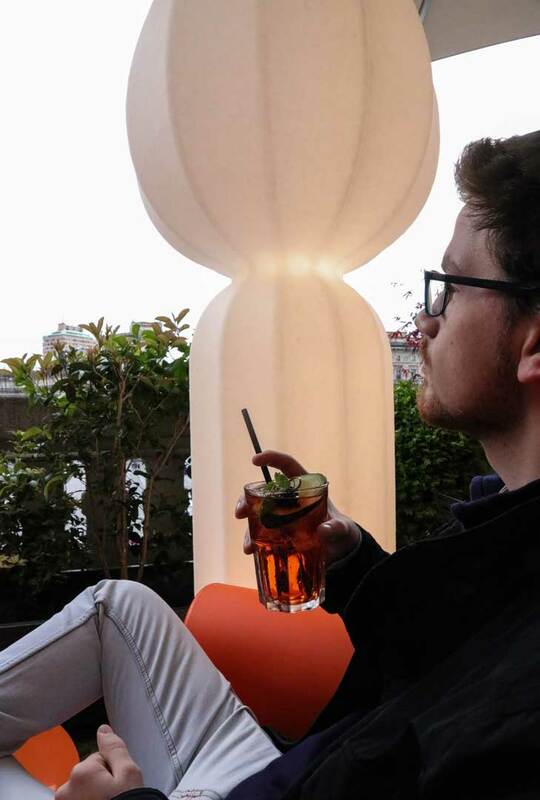 Studio Didea chose our floor lamps to light up the garden with minimalist elegance. 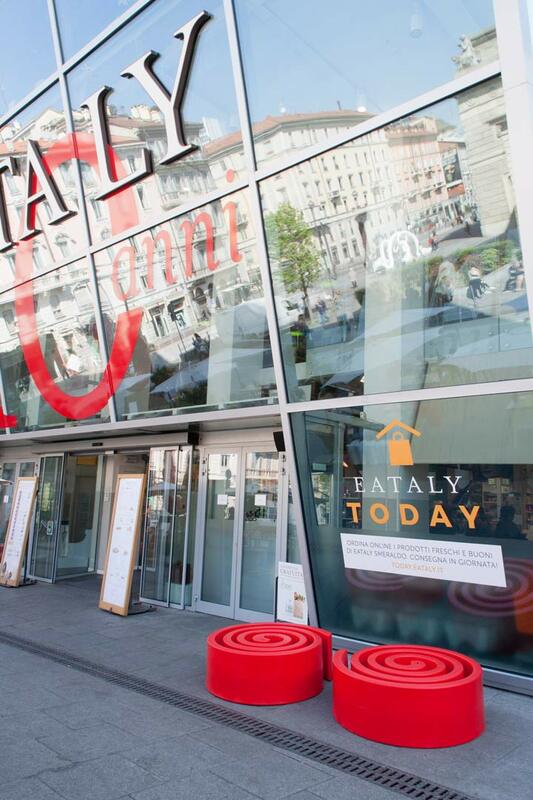 During Milano Design Week in April, Slide and Eataly worked together and realized a pop and romantic setting in Eataly's outdoor. 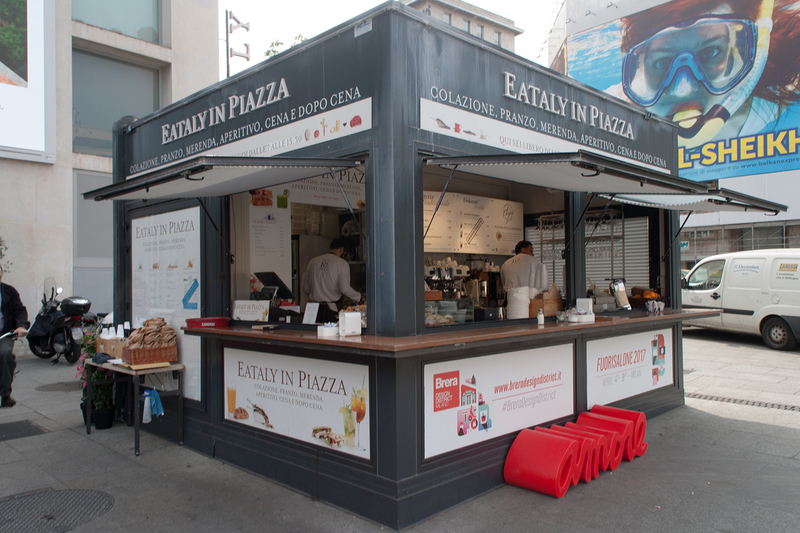 Eataly created a pop and romantic atmosphere thanks to Slide's products, that reminds a warm and lovable summer evening setting in the heart of Milan. 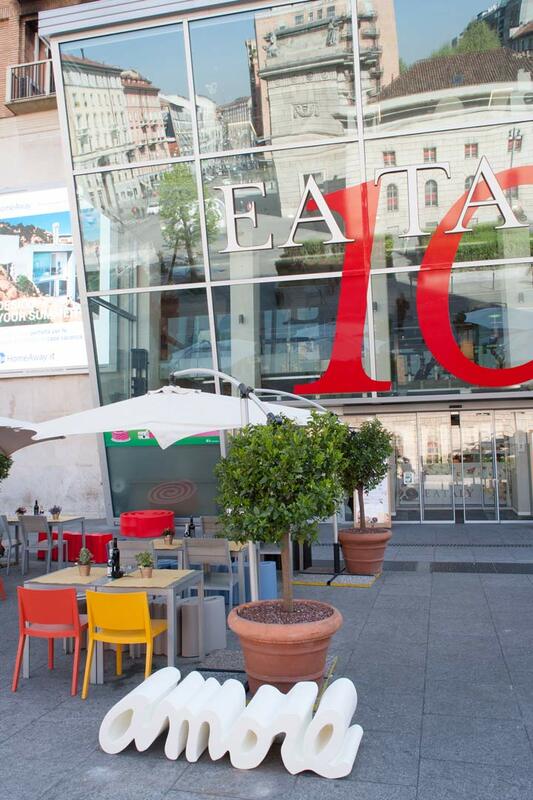 During Milano Design Week in April, Slide furnished the outdoor space of Eataly location with Summertime pouf, in red model, and a fall of Amore benches in many different colours.